An Exclusive, limited edition, artist label bottling of Cru Bourgeois Chateau Grand Medoc 2015. A memorable gift! Here is a unique, limited edition bottling of Bordeaux. 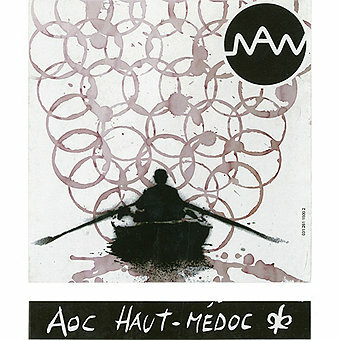 The Cru Bourgeois Chateau Grand Medoc took approximately 2% of their 2015 production and bottled it under this Nektart Wine label. The compelling and ironic image is created by celebrated graffiti and street artist, Nick Walker and depicts his stenciled rowing man on a sea of overlapping red wine glass stains. 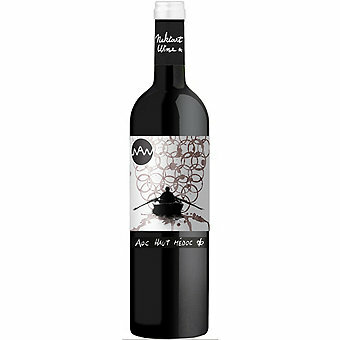 The art label gives this an elemnet of collectability and makes it ideal gift for wine lovers. Of equal importance of course is the wine in the bottle. Chateau Grand Medoc is ideally situated on the Medoc peninsula and benefits from the gravelly soils with chalky-clay subsoils and the perfect climate. Their vineyard boast mature 35 year old vines growing mainly Cabernet Sauvignon and Merlot. 2015 was an exceptionally successful vintage in the Medoc and this wine shows the expressive character of that vintage with cassis, black cherry, cedarwood and pipe tobacco on the nose followed by lively red currants, cherries, black olive and roasted nuts on the palate with caressing tannins that add a chewy texture. The flavors linger on the finish and the structure suggests it can age nicely over the next 3-5 years. As a limited collectible, a gift or just a great value, beautifully drinking Bordeaux this one checks off all the boxes. Don't miss it!